The Carson Mansion is a large Victorian house located in Old Town, Eureka, California. Regarded as one of the highest executions of American Queen Anne Style architecture,:33 the house is "considered the most grand Victorian home in America." It is one of the most written about and photographed Victorian houses in California and perhaps also in the United States. Originally the home of William Carson, one of Northern California's first major lumber barons, it has been a private club since 1950. The house and grounds are not open to the public. William Carson (July 15, 1825 New Brunswick – February 20, 1912 Eureka), for whom the house was built, arrived in San Francisco from New Brunswick, Canada, with a group of other woodsmen in 1849. After rolling out gold slugs in San Francisco, they joined in the northern gold rush, arriving in the Trinity Mountains via the Eel River and Humboldt Bay. They left the Trinity Mountains to overwinter at Humboldt Bay and contracted to provide logs for a small sawmill. In November 1850 Carson and Jerry Whitmore felled a tree, the first for commercial purposes on Humboldt Bay. All winter, Carson and his team hauled logs from the Freshwater slough to the Pioneer Mill on the shores of Humboldt Bay. In spring, the party went back to the mines where they had previously staked claim on Big Bar by the Trinity. They built a dam and continued mining until they heard that a large sawmill was being built at Humboldt Bay. They went south through the Sacramento Valley, bought oxen, and returned to Humboldt Bay by August 1852, where Carson, alone, went into the lumber business permanently. In 1854, he shipped the first loads of redwood timber to San Francisco. Previously, only fir and spruce had been logged. In 1863 Carson and John Dolbeer formed the Dolbeer and Carson Lumber Company. Eighteen years later in 1881, as the company advanced into areas more difficult to log, Dolbeer invented the Steam Donkey Engine which revolutionized log removal, especially in hard to reach areas. At about the same time, Carson was involved in the founding of the Eel River and Eureka Railroad with John Vance. Before commencing the building of his mansion, Carson said, "If I build it poorly, they would say that I am a damned miser; if I build it expensively, they will say I'm a show off; guess I'll just build it to suit myself." In 1884, on the eve of construction of the great home, the company was producing 15,000,000 board feet (35,000 m3) of lumber annually. The milling operations, combined with additional investments as far away as Southern California and at least partial ownerships in schooners used to move the lumber to booming markets on the west coast and all over the globe, set the stage for the unlimited budget and access to resources the builders would have. Pacific Lumber Company purchased the company in 1950 and maintained milling operations at the original Humboldt Bay site, located bay-side below the house, well into the 1970s. Following the Carson family divestiture of remaining family holdings (including the home) in 1950, the family left the area. The building was purchased for $35,000 in 1950 by local community business leaders, and currently houses the Ingomar Club, a private club, which was named after Carson's Ingomar Theater, itself named for Carson's favorite play Ingomar the Barbarian. The house is a mix of every major style of Victorian architecture, including but not limited to: Eastlake, Italianate, Queen Anne (primary), and Stick. One nationally known architectural historian described the house as "a baronial castle in Redwood..." and stated further that "The illusion of grandeur in the house is heightened by the play on scale, the use of fanciful detail and the handling of mass as separate volumes, topped by a lively roofscape. ":266 The style of the house has been described as "eclectic" and "peculiarly American. ":65 Unlike most other houses dating from the period, this property always has been maintained, and is in nearly the same condition as when it was built. In May 1964, the house was included in the Historic American Buildings Survey (HABS) as catalog number CA-1911. This is the only official historical building listing of the house. Although the historic house does merit National Register of Historic Places status, the private club has chosen not to apply for it. Samuel and Joseph Cather Newsom of San Francisco (and later Los Angeles), were nineteenth century builder-architects contracted by Carson to create the house by 1883. The Newsoms produced many styles and types of buildings from homes to churches to public buildings including: the Oakland City Hall, the Alameda County Courthouse, and the Napa County Courthouse. 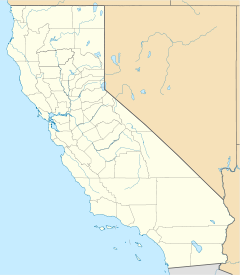 :35 Of their many commissions in California, a few original buildings remain in addition to the Carson house, including the Napa Valley Opera House and the San Dimas Hotel. One house they designed was "The Pink Lady," which William Carson gave to his son Milton as a wedding present in 1889. After being sold in 1920, it went through several owners before being inherited by sisters in Germany. It operated as a rooming house until it was seized as Nazi property in 1942. In 1964, it became the first historic building in Eureka to be restored. Another of their designs was built in Eureka in 1982 by the Carter House Inn. It is a replica of the 1885 Murphy House in San Francisco, designed by Newsom and Newsom, which was lost in the 1906 San Francisco earthquake. Their works also include the Bradbury Mansion, which was built in 1887 at the cost of $80,000 for Lewis L. Bradbury. The house, a 35-room structure with five chimneys and five turrets, stood at 147 North Hill Street in Los Angeles' Bunker Hill, at the corner of Hill and Court streets, until being demolished in 1929, and was the inspiration behind the exterior of Hong Kong Disneyland's Mystic Manor attraction. Images of the house are prevalent in website designs and video animations as well as on posters, paintings, and book covers. This popularity also has led to replicas being created in amusement parks, including the clock tower on the train station at Disneyland. The home also serves as a model for haunted house artwork and design. ^ Graves, Wally (October 1995). "Carson Mansion, the inside story". North Coast Journal. Retrieved October 24, 2013. ^ a b c d Sacks, Benjamin (1979). Carson Mansion and Ingomar Theatre: Cultural adventures in California. Valley Publishers. ISBN 978-0-913548-64-6. ^ a b c d e "Carson House, Eureka, Humboldt, CA". Historic American Building Surveys, Engineering Records, Landscape Surveys Prints and Photographs Online Catalog. Library of Congress. 2013. Retrieved 21 September 2011. ^ Sanderson, Helen; Keith Easthouse (August 7, 2003). "The Eureka icon that's off limits: Tourists feel misled by promotion of Carson mansion". North Coast Journal. Retrieved October 24, 2013. ^ a b c d e f g Leigh Hadley Irvine (1915). History of Humboldt County, California: With Biographical Sketches of the Leading Men and Women of the County who Have Been Identified with Its Growth and Development from the Early Days to the Present. Historic Record Company. ^ Lynwood Carranco; John T. Labbe (1 January 1975). Logging the Redwoods. Caxton Press. pp. 112–. ISBN 978-0-87004-536-3. ^ Brown, Scott H. (2013). Eureka. Charleston, South Carolina: Arcadia Publishing. p. 62. ISBN 978-0-7385-9676-1. ^ "Colorful past, uncertain future for Engine No. 9" (PDF). The Scotia Independent. 1 (1): 1. March 28, 2011. Retrieved October 24, 2013. ^ "Welcome". Ingomar Club. 2013. Retrieved October 24, 2013. ^ Stansberry, Linda (2016-03-14). "Five Things You Might Have Missed in This Weeks' Cover Story". North Coast Journal. ^ David G. De Long (1986). American Architecture: Innovation and Tradition. Rizzoli. ^ a b c Overholt, Ken (1987). Eureka, an Architectural View. Eureka Heritage Society. ISBN 978-0-9615004-0-5. ^ Newsom, Samuel; Newsom, Joseph C.; Gebhard, David; et al. (1979). Samuel and Joseph Cather Newsom: Victorian architectural imagery in California, 1878–1908 : UCSB Art Museum, Santa Barbara, April 4 through May 6, 1979, the Oakland Museum, Oakland, May 22 through August 12, 1979. The CSB Museum and The Oakland Museum. ^ Brown, Scott H. (2013). Eureka. Charleston, South Carolina: Arcadia Publishing. p. 63. ISBN 978-0-7385-9676-1. ^ a b Naverson, Kenneth (1998). Beautiful America's California Victorians. Beautiful America Publishing Co. pp. 1858–. ISBN 978-0-89802-701-3. ^ a b Stenger, Richard (October 28, 2010). "The Creepy Carson". North Coast Journal. Retrieved October 24, 2013. Wikimedia Commons has media related to Carson Mansion. Evelyn Shuster Worthen (1984). A Castle in Fairyland: And Other Stories of the Carson Family and Their Mansions. Eureka Print. Company. Laurence Beal (1977). The Carson Mansion: America's Finest Victorian Home and the Man who Built it. Beal. This page was last edited on 26 August 2018, at 07:31 (UTC).